The Westland Goodfellows have proudly been serving the City of Westland residents for over 50 years. Historically the Goodfellows raised funds through the selling of “Old Boy Newspapers”, using those funds to purchase toys and clothing for the needy children of Westland, and then finally delivering those items directly to families at Christmas time. This ensured that “No Child is Without a Christmas”. With the holiday season fast approaching, people everywhere are getting out their best autumn table clothes and favorite family recipes in preparation for Thanksgiving. However, amongst the madness and chaos of party planning, its important to remember that there are people struggling to provide their family with a good meal- let alone a 10 lb. Thanksgiving Day turkey. There is perhaps no better time a year than during the holidays to make a difference in a family’s life. With our help, we can help to fight hunger and make sure that no family is left without a meal during the holidays. 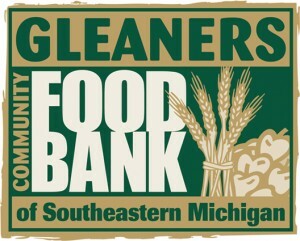 Join Gleaners with Palace & Foodmax Supermarkets to help make the holidays a little brighter for people in need in our community.